Cathedral 2016 Samson Kambalu (1975 – )	P8638 © the artist. 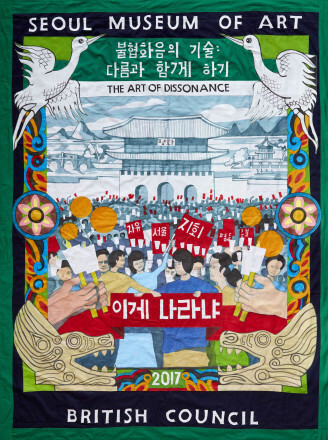 Seoul Museum of Art (SeMA), in partnership with the British Council, is delighted to present The Art of Dissonance as part of UK/Korea 2017–18, an exhibition drawn mainly from the British Council Collection. 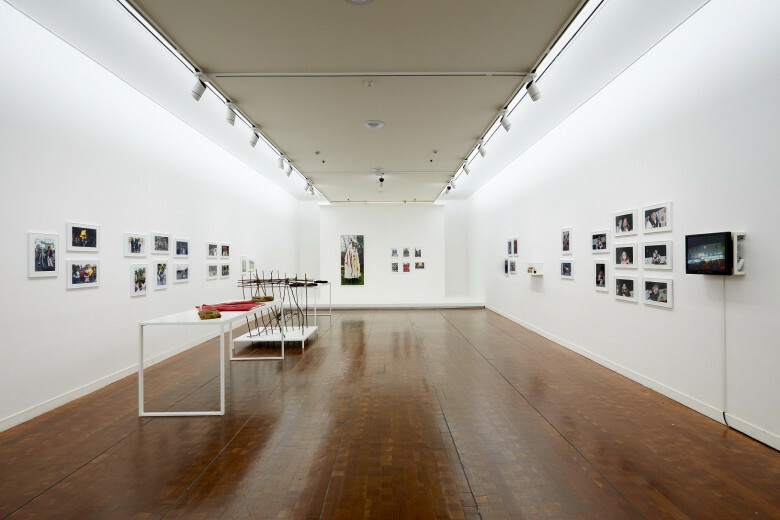 Using the framework of 'dissonance', the exhibition unfolds through a set of interrelated movements: social protest, public assembly, class formation and political struggle. 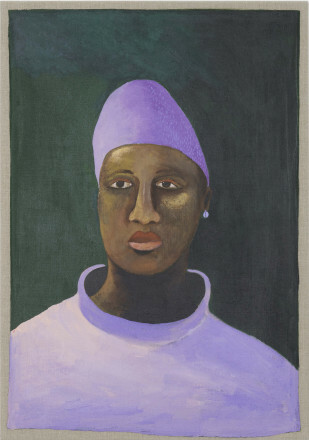 In a year that has seen many people participate in rallies and marches across the world, this exhibition considers how we express ourselves whether it be collectively or individually; how our voices give shape to society; and how artists articulate responses to the pressing social issues of our time. 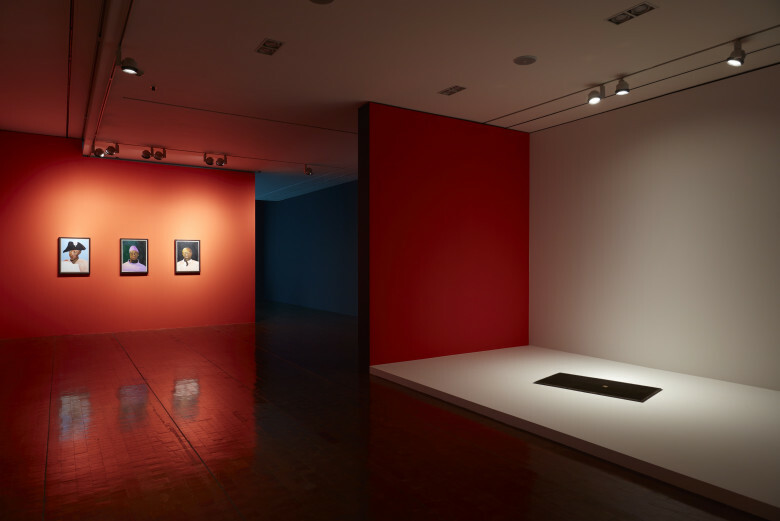 The Art of Dissonance explores current realities via artworks from the British Council Collection to create a 'dissonant space' with an exhibition format. 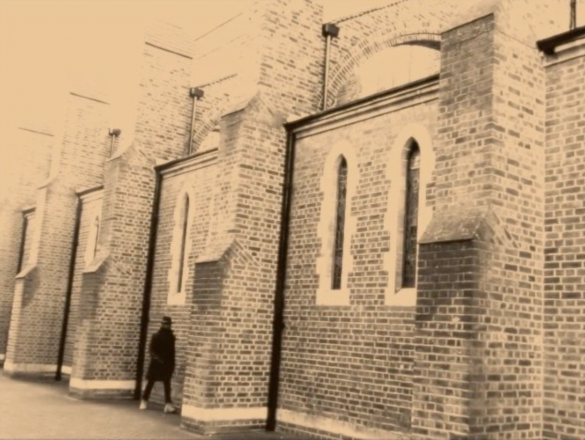 John Akomfrah’s The Unfinished Conversation, shown in Korea here for the first time, chronicles the life and work of Jamaican-born cultural theorist Stuart Hall. 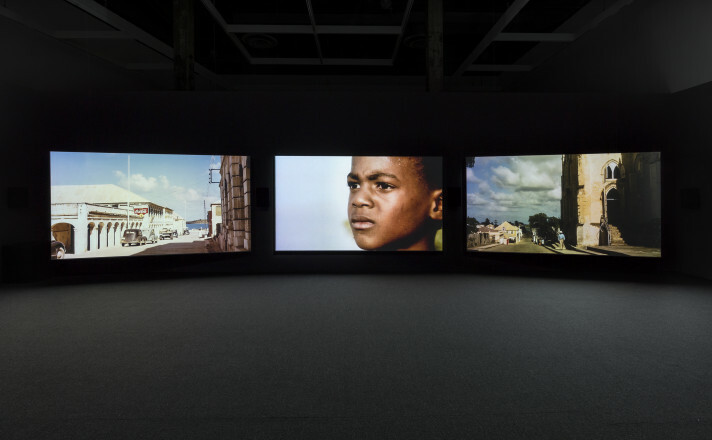 In this work, Akomfrah interweaves Hall’s biography with charged political moments from recent British history, including the struggles of the working class and the exclusion of black artists from established cultural institutions—these themes are also explored in the work of Lubaina Himid and Mona Hatoum. 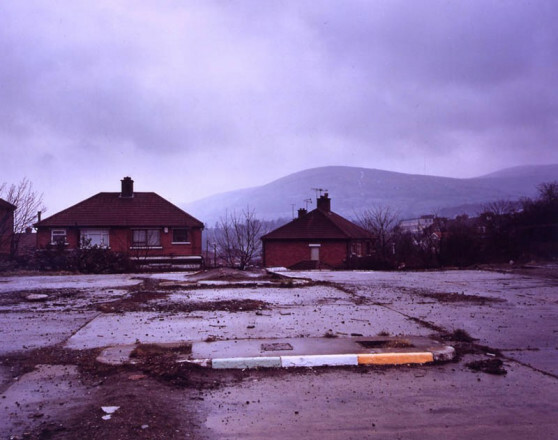 Also debuting in Korea, Jeremy Deller and Alan Kane’s Folk Archive contains over 280 cultural artefacts and social documents, producing an 'unauthorised' catalogue of British life as practiced by individuals and communities across the UK. Photographs by Martin Parr, Paul Graham and Gillian Wearing provide insight into the different ways that class has been experienced and political division negotiated in Britain’s recent history. Grayson Perry’s Comfort Blanket questions what it means to be British today using everyday sayings and symbols; Mark Wallinger’s Royal Ascot delves into an ongoing preoccupation with royalty, nationalism and class hierarchy; and Samson Kambalu’s improvised film works seek to escape the conventions of daily life. 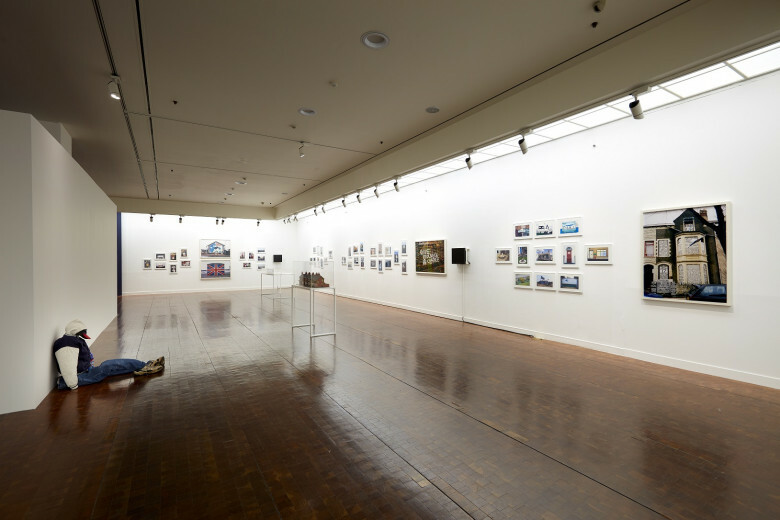 Artworks within the exhibition are fragments in an unfinished story that can be argued and interpreted from the perspectives of the social and political challenges we face today. 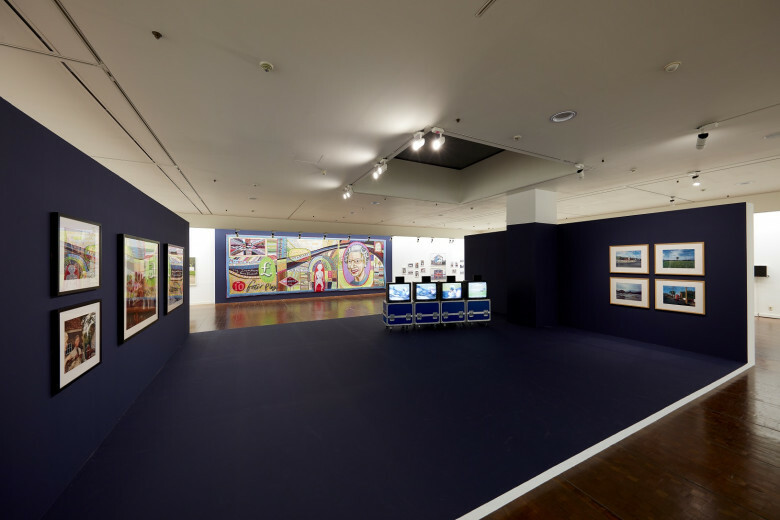 Shifting political borders, the rise of populist movements and the corporatisation of education; these are just a few of the urgent social issues at stake in the work of Cally Spooner, Wolfgang Tillmans, Rachel Maclean, Bob and Roberta Smith and Ed Hall. 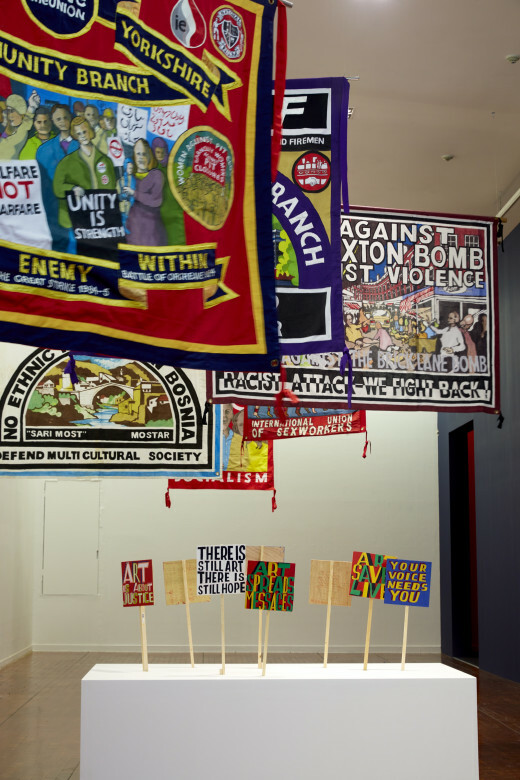 Placards and banners from political protests, past and present, occupy the gallery, signalling a call to action to make our own voice heard. 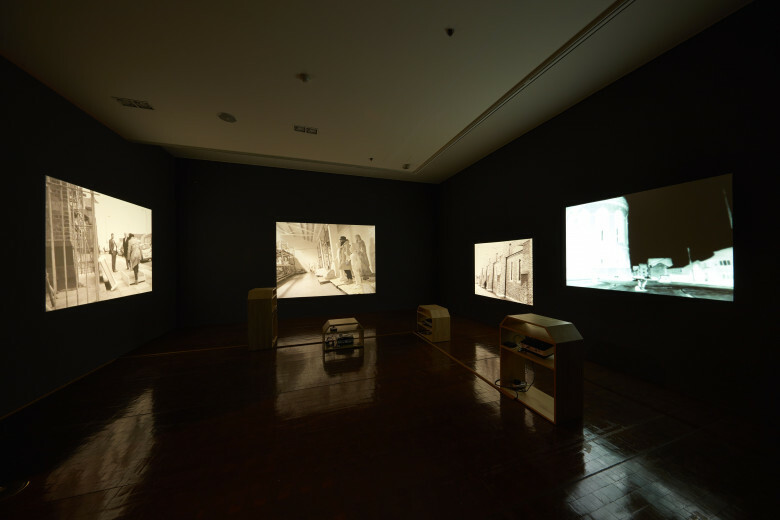 This exhibition calls upon the strategies and insights offered by artists to articulate a ‘space of dissonance’ as a model of action in everyday life. 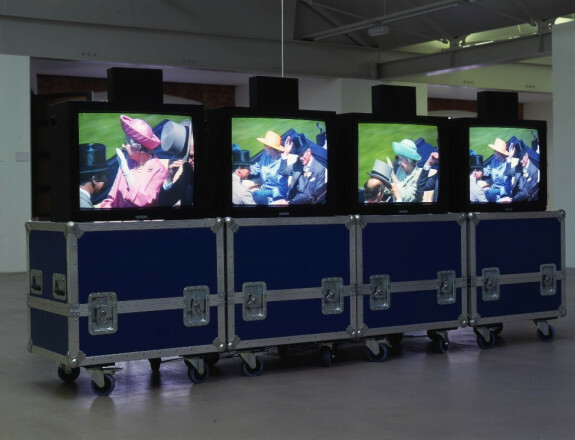 Participating artists: John Akomfrah, Jeremy Deller & Alan Kane, Paul Graham, Ed Hall, Mona Hatoum, Lubaina Himid, Samson Kambalu, Rachel Maclean, Martin Parr, Grayson Perry, Bob and Roberta Smith, Cally Spooner, Mark Wallinger, Gillian Wearing, Wolfgang Tillmans. "Square Seminar: Forum for Artistic Practice, Participation and Intervention"
Lectures by Jade Keunhye Lim, Head of Exhibitions, Seoul Museum of Art, Prof. Shan Lim, Dongduk Women's University and Changryul Yang, Researcher in Philosophy, John Reardon and Michael Dutton, Goldsmiths College, University of London. Ed Hall was born in Norwich and studied at Norwich School and then BA Architecture at Sheffield University. His first job in an Architect's office was in Liverpool, but by 1974 he was working for Lambeth Council building council houses. In the early 1980's, major political changes were taking place and Ed became active in his trade union. He became the UNISON Branch Secretary at Lambeth Council representing 16,000 staff and, because he had drawing skills, began to make banners for the campaigns which flourished at the time. In 1999, while putting up a UNISON stall at the Lambeth Country Show, Ed met the artist Jeremy Deller. Ed recalls the half hour conversation but at that time did know of the significance of Jeremy's work. Part of the stall was a banner protesting the Brixton Bomb and Jeremy included this in his exhibition "Intelligence" at the Tate in 2000. 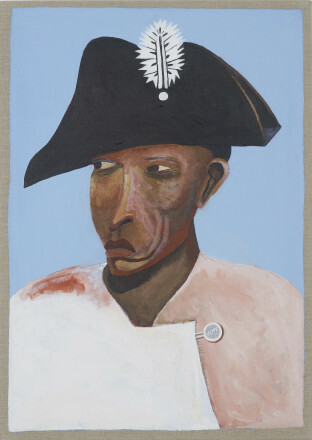 Deller won the Turner Prize in 2004, and in a set of memorials for his entry, Hall made a banner celebrating the arrival of the Empire Windrush in 1948. In 2005 Hall created banners for "Folk Archive" a project curated by Deller with Alan Kane. The entire 'archive' is now a part of the British Council Collection and has since toured to Milan, Paris and Shanghai. Hall's collaboration with Jeremy Deller has continued with banners created for the exhibitions "From One Revolution to Another" (Palais de Tokyo, 2008); "Procession" for the Manchester International Festival; and "Joy in People" (Hayward Galley, 2012) for which Hall created a title banner and external banners which stretched over two facades. 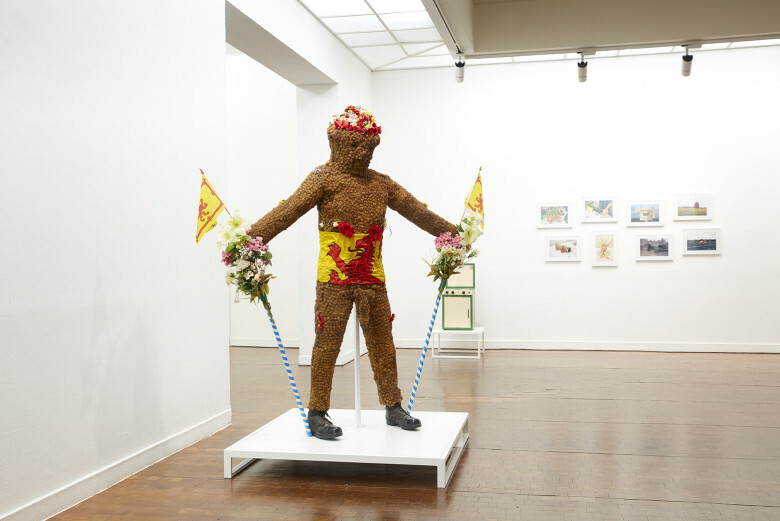 In 2011 Ed was asked by the Peoples History Museum to hold an exhibition "On the March" in its new Manchester gallery; he has also created banners for Michael Wood's BBC2 series "The Great British Story", (2012) and for the stage show "Penny Arcade." In 2013, the British Council Visual Arts Department commissioned Hall to create two banners celebrating the collection, past and present. Despite his crossover success in the field of contemporary art, the making trade union and campaign banners remain central to Hall's work. They are best seen in anti-cuts marches along the Embankment, and at the summer trade union festivals at Tolpuddle, the Chainmakers Festival and at Burston in Norfolk. Grayson Perry was born in Chelmsford, England in 1960. He studied at Braintree College of Further Education and later at Portsmouth Polytechnic. 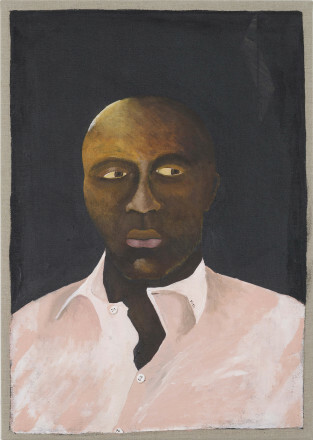 In 2003, he won the Turner Prize and in 2013 was awarded a CBE in the Queen’s birthday honours list. Though working within the context of contemporary art, Perry is a practitioner of artisanal crafts, specifically pottery. He rejects Conceptual art as the sole claimant of ‘ideas’ and champions the decorative and intimate qualities of handmade objects with stories to tell. His ceramic pots are highly illustrated with narrative scenes, often darkly humorous, and in their traditional look, they challenge what the artist feels to be the uninspiring quality of ‘good taste’. In the ceramic pot, Village of the Penians (2001) Perry explores symbolism and religion within a fantasy world where the phallus is an icon of worship for the community. The large, earthenware pot is decorated with hand drawn scenes of village life in which male genitalia appears wherever we might expect to see a crucifix. Overlaying the drawings are images torn from vintage children’s books, creating a jumble of historic references and a confusion of past and present. Perry has curated major exhibitions, such as ‘The Tomb of the Unknown Craftsman’ at the British Museum, London (2011), where he interspersed ancient artefacts with his own works in order to explore folk history and craft tradition. 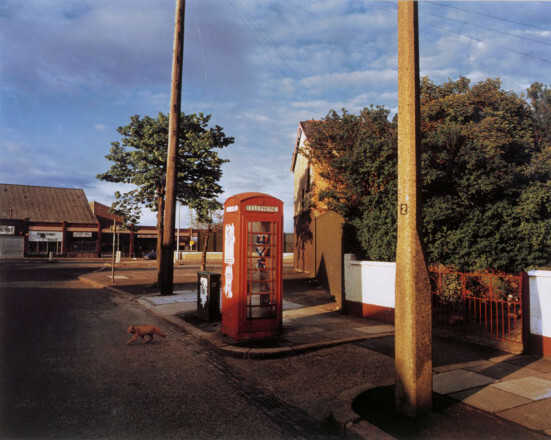 In 2013 he unveiled a major work titled ‘The Vanity of Small Differences’, a series of six large-scale tapestries which follow the ‘Rake’s Progress’ narrative through scenes from contemporary British life. Bob and Roberta Smith is the adopted persona of the artist Patrick Brill. Born in London in 1963, he studied Fine Art at the University of Reading and later at Goldsmiths College, London. Bob and Roberta Smith lives and works in London. Smith’s work spans a variety of genres; painting, performance, music and even cookery and Do-It-Yourself, infused with a subversive humour. 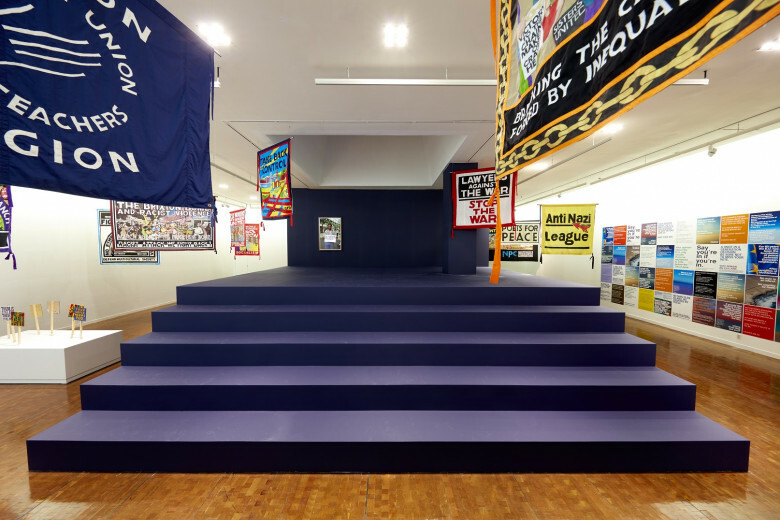 By combining such diverse media with the language styles of alternative protest movements, folk and punk, Bob and Roberta Smith attempts to challenge established authorities and values, and encourage creativity in people. Many past projects and performances have involved participatory elements, sharing similarities with the Fluxus movement of the 1960s. In 2008, a sculpture by Bob and Roberta Smith was short-listed for the Fourth Plinth competition in Trafalgar Square, London. Made in Britain Contemporary Art from the British Council Collection 1980-2010, China federation of Literary and Art Circles Publishing Corporation 2010. ISBN 978-7-5059-7014-4.